My crush on burlap started years ago-- and it's still going strong. 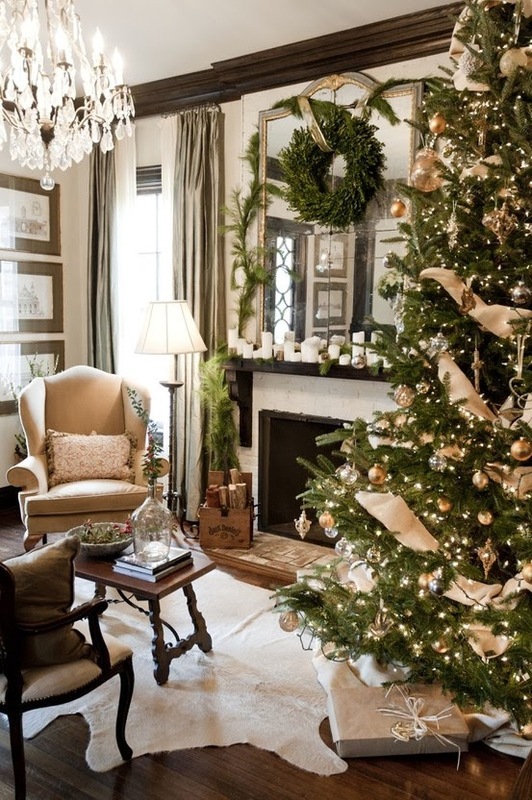 Even the most sophisticated home can incorporate a bit of burlap. 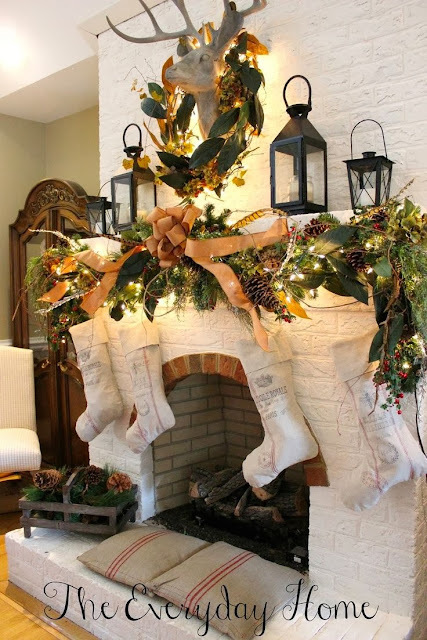 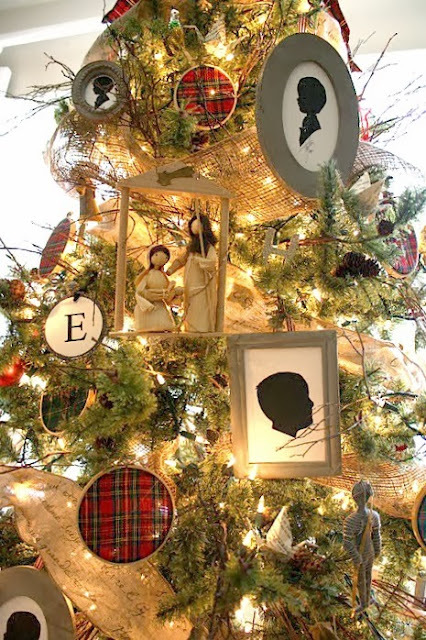 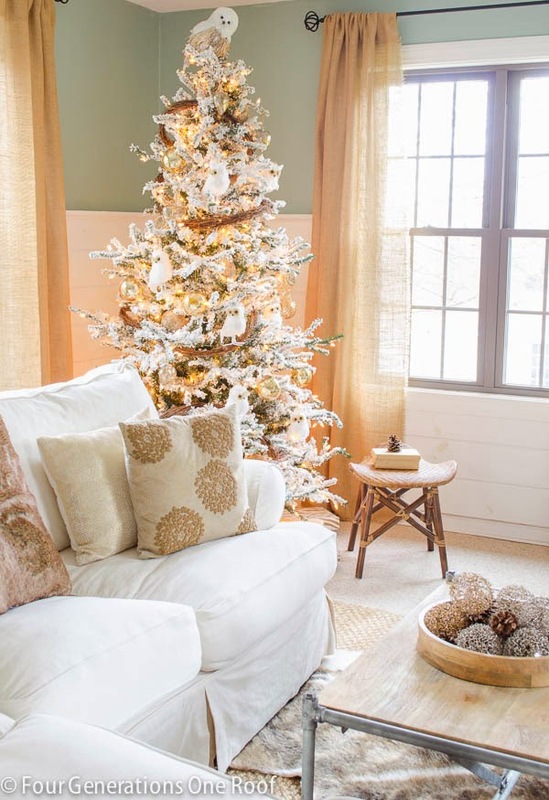 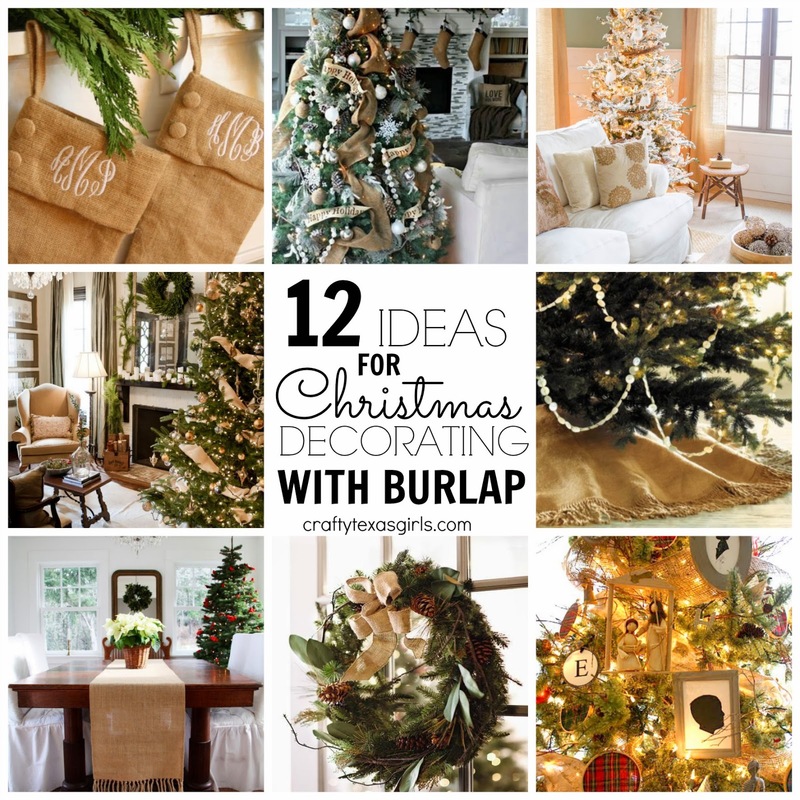 Here are my favorite ideas for decorating with burlap this holiday season. 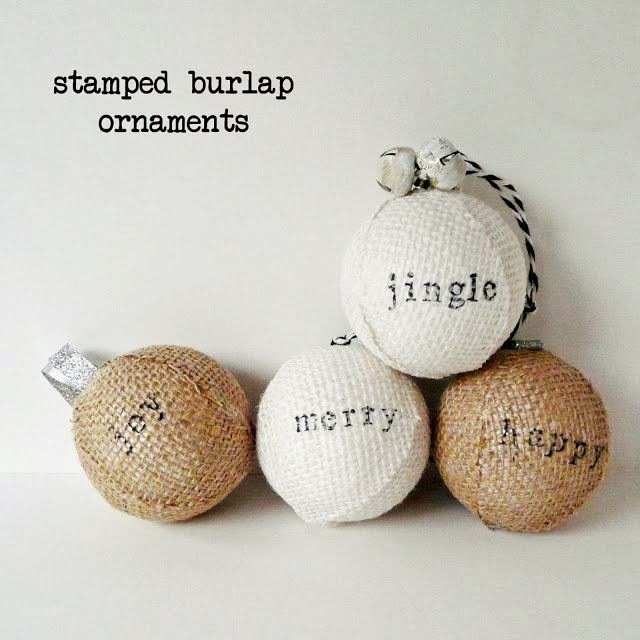 Add burlap to your Christmas tree. 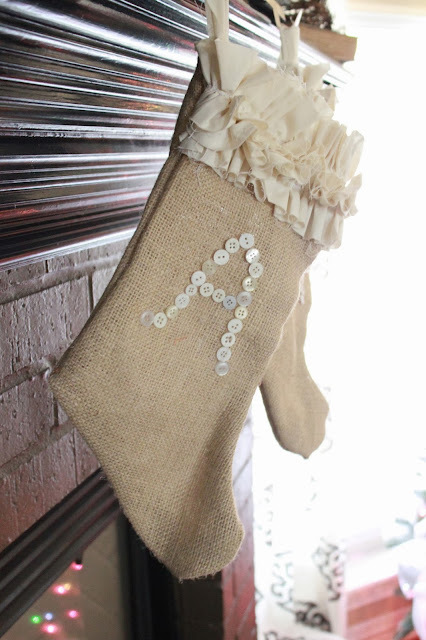 Hobby Lobby has a huge selection of burlap ribbon- the wired ribbon is perfect for a Christmas tree. 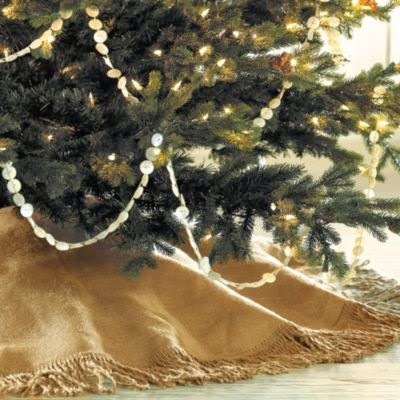 Burlap Christmas tree skirts are a beautiful neutral accent. 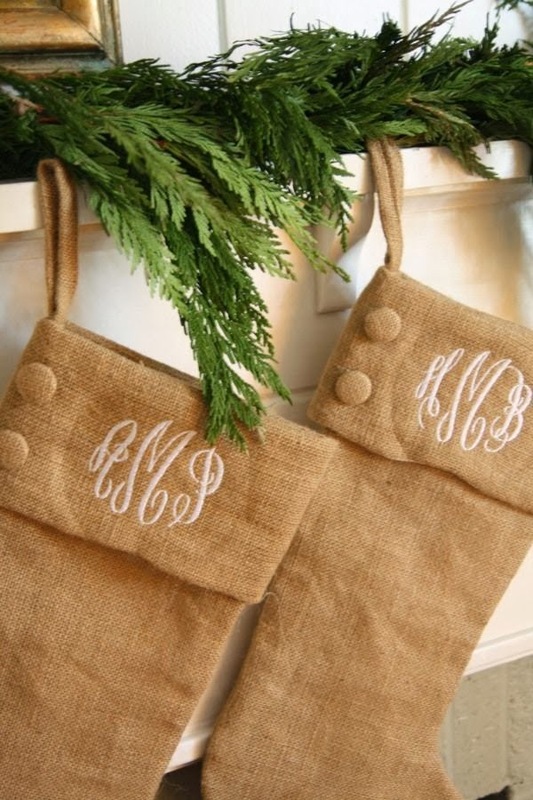 or make your burlap Christmas stockings. 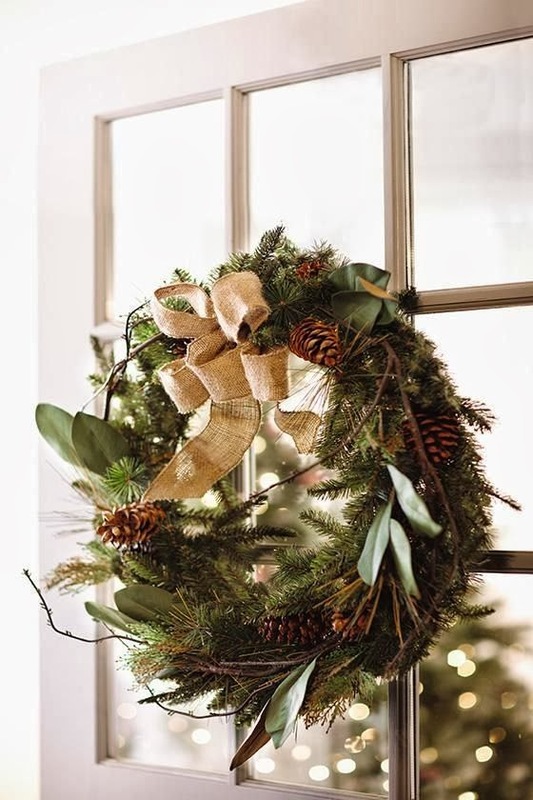 Dress up a Christmas wreath with a burlap bow. Hang a burlap ornament on the tree. 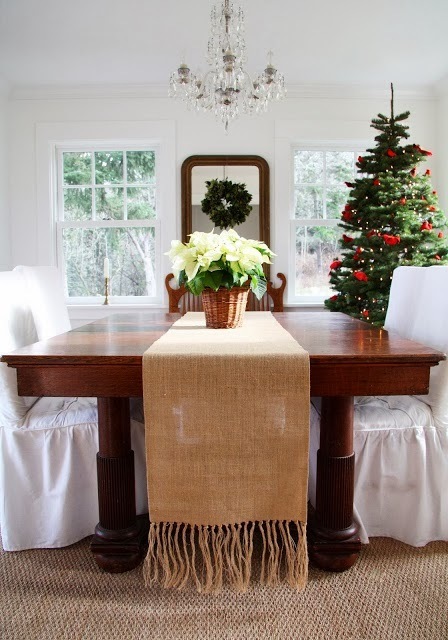 A burlap table runner is perfect for Christmas. 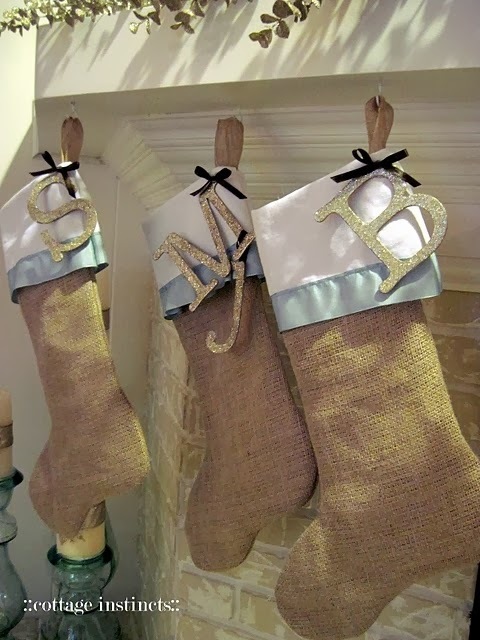 I love burlap on a Christmas mantle. Finally, how about these burlap drapes? 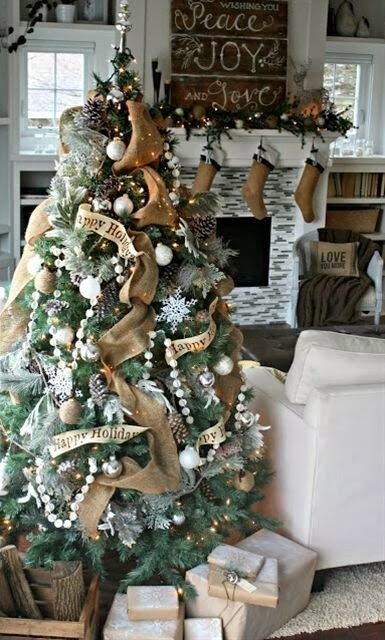 Put them up now for Christmas and then leave them up year round!